Mike de Leon returns to Philippine cinema after 17 years with Citizen Jake—a crime drama about a blogger/reporter from a prominent political family and the conflicts he goes through doing his job. 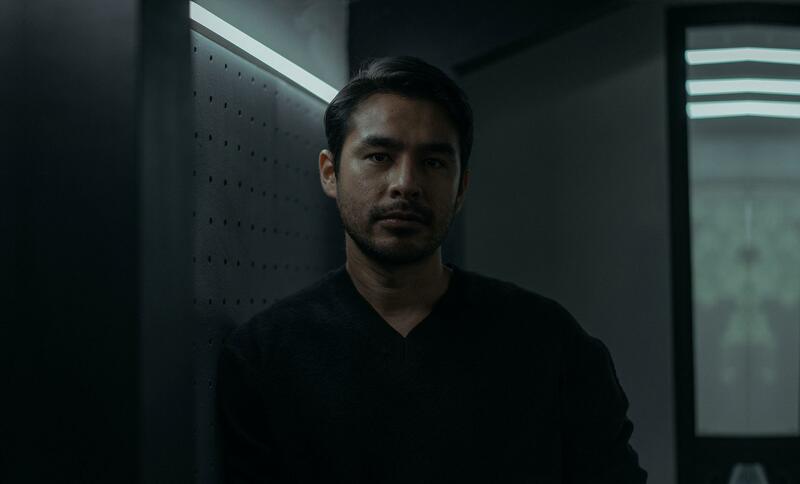 De Leon cast real-life journalist Atom Araullo as Jake in what some considered a risky move since Araullo has never acted in a film before, much less lead one. 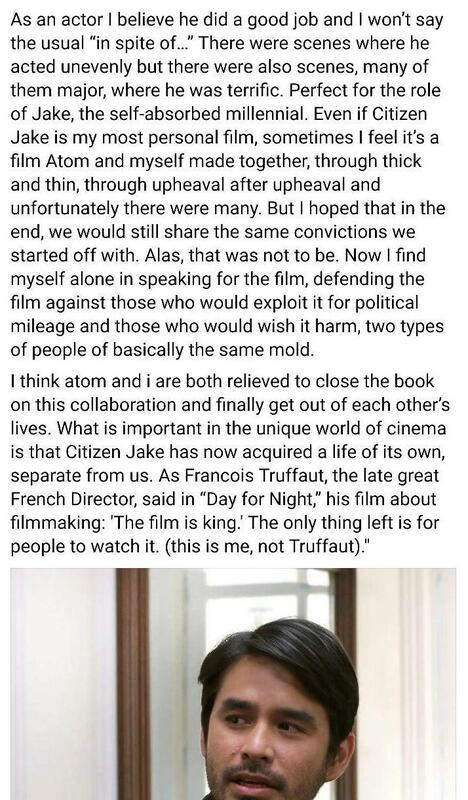 However, the film did get its fair share of buzz largely due to De Leon's stature and Araullo's popularity—which was why many were surprised when Mike de Leon posted a Facebook message days before the film's opening expressing his disappointment with Araullo, alluding to what seems to be a serious rift between the two of them. 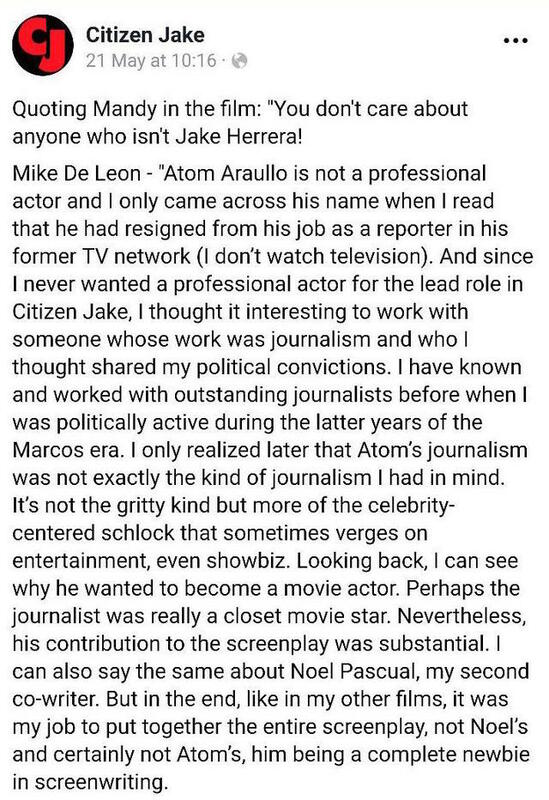 After more than a week of keeping silent, Atom Araullo has just posted his response to Director Mike de Leon's comments, mentioning how grateful he is for the opportunity to have worked with the legendary director while saying that de Leon is also a "deeply troubled person."